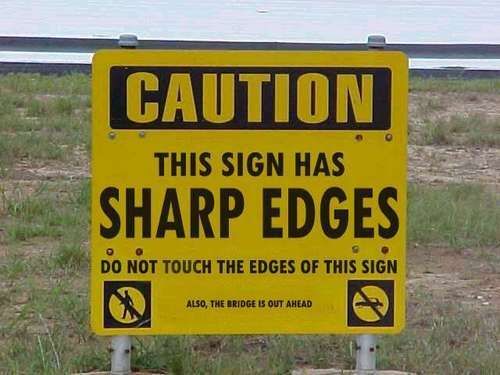 Funny Signs. 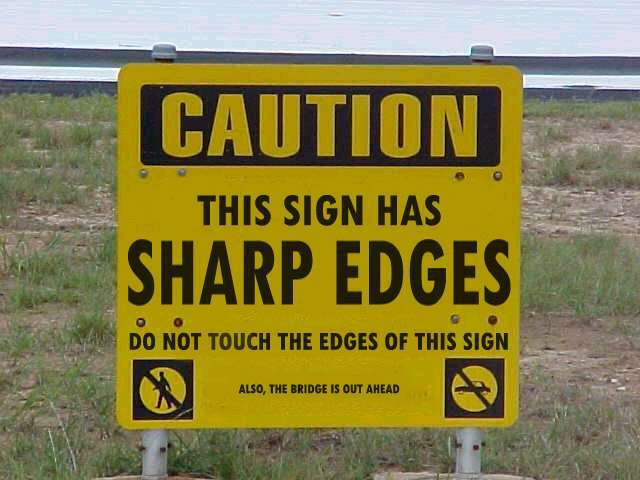 The absolute stupidest and most pointless sign ever made. :D. Wallpaper and background images in the Picks club tagged: picks funny signs. LOL. Very badly designed sign, though it does have a message, in tiny tiny letters: "the bridge is out ahead".